The Hill Memorial was constructed in 1916 by Newton contractor Thomas Farrel in renaissance revival style according to the design of Henry T. Stephens, a Paterson architect. It was built for the society’s use by donations from Joshua Hill, a native of Sussex County and was dedicated on Founder’s Day, June 8, 1917. The building was named in memory of Joshua’s parents, Luther and Abigail (Dildine) Hill, and his uncle, Joseph Price Hill. 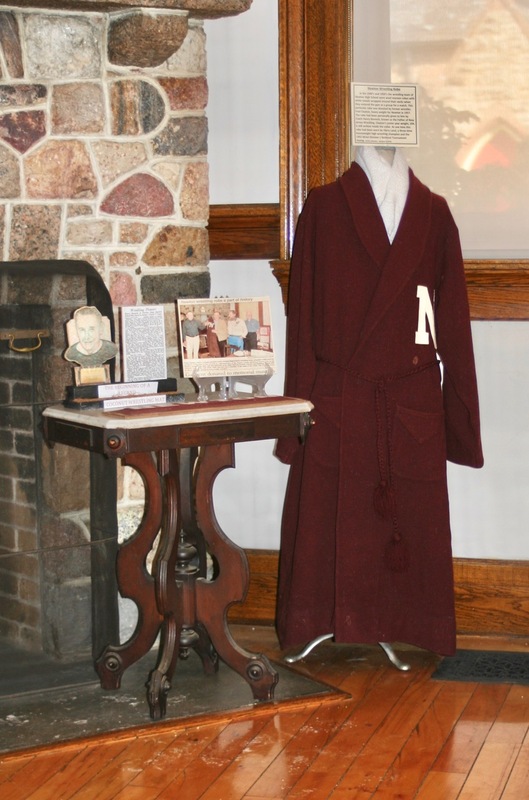 The building is faced with two shades of tapestry brick furnished by the N.H. Sloan kilns of Pennsylvania. The main entrance is ornamented with a portico and door casings manufactured by the Brick Terra Cotta & Tile Company of Corning, New York. 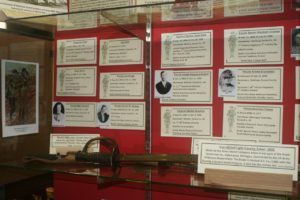 The main architectural feature of the entry hall is the grand staircase of quartered oak. 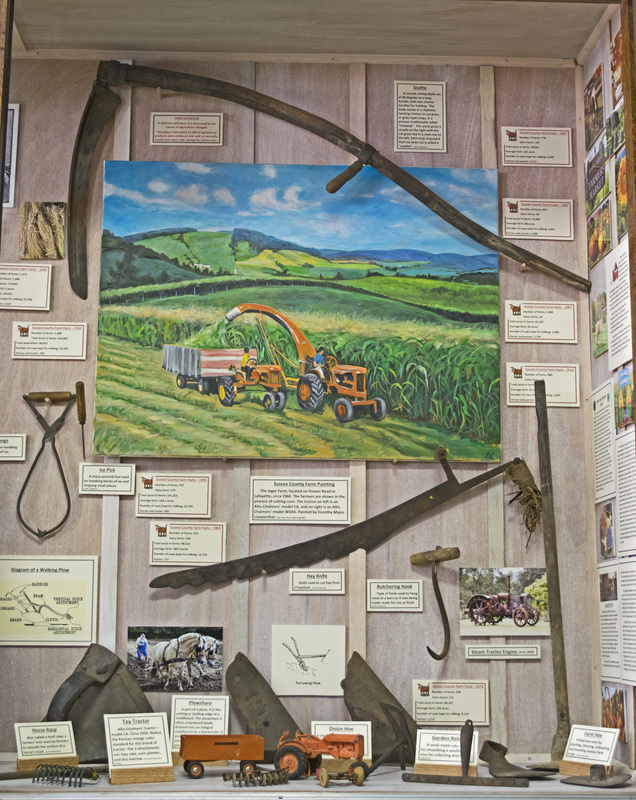 As the name indicates, this room on the lower floor focuses on local history. 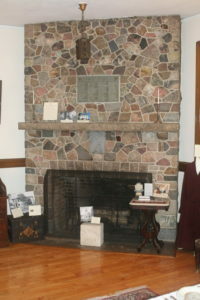 The main feature is a large stone fireplace built by George Sharp in 1921, incorporating stones from Sussex County that are of geological and historical significance. A framed copy of G.M. Hopkins Jr.’s 1860’s map of Sussex County hangs near the oak roll-top desk of Judge Henry T. Kays. 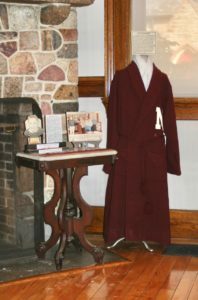 Portraits of Luther and Abigail (Dildine) Hill are on display. 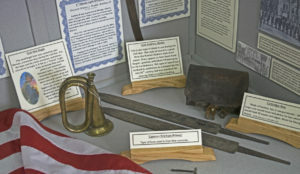 Other interesting pieces include a safe from the first bank in Newton – The Sussex Bank, founded in 1818; a Wheeler and Wilson sewing machine – once used to sew clothing for Civil War soldiers; and an original wrestling robe from Newt on High School during the time of “Henry Boresch –father of NJ Wrestling”. 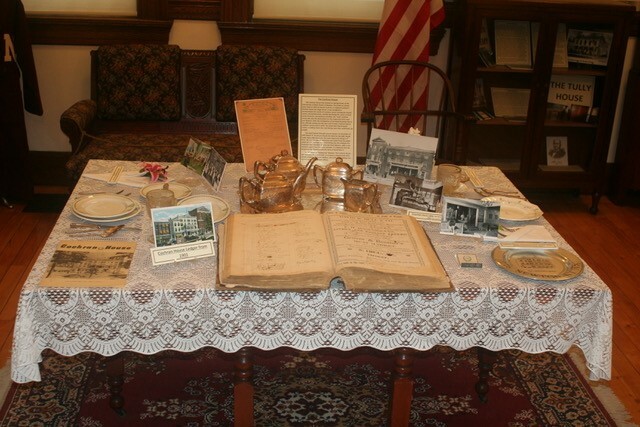 In the center of the room is a display featuring the Cochran House, once located on Spring Street, it was the center of local social, business, and political activities. The victor ian display in the u pstairs gallery were custom made for jeweler H.D. 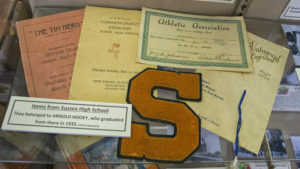 Couse, and donated by his successor, John Coats Sr., when Coats Jewelry Store moved from the Cochran House to 103 Spring Street in 1950. 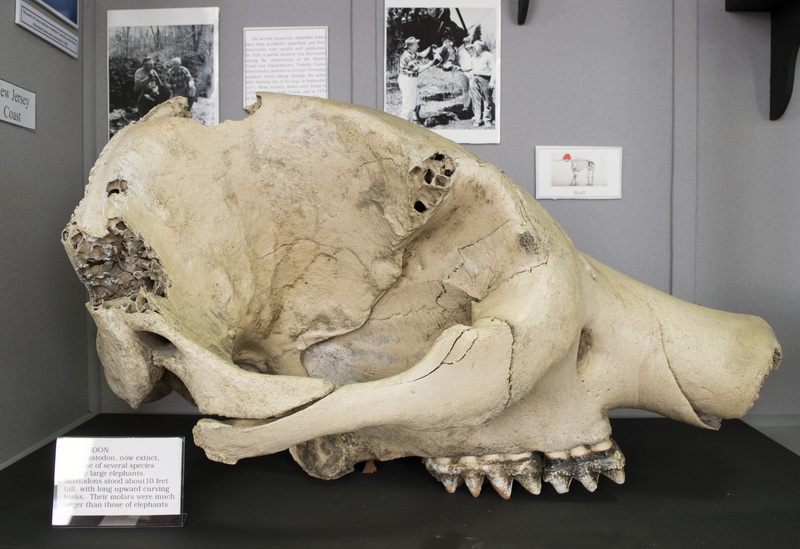 Here are displayed some of the Society’s collections including the partial skeleton of a Mastodon discovered in 1962 during the dredging of a bog at Camp Auxilium in Hampton Township. 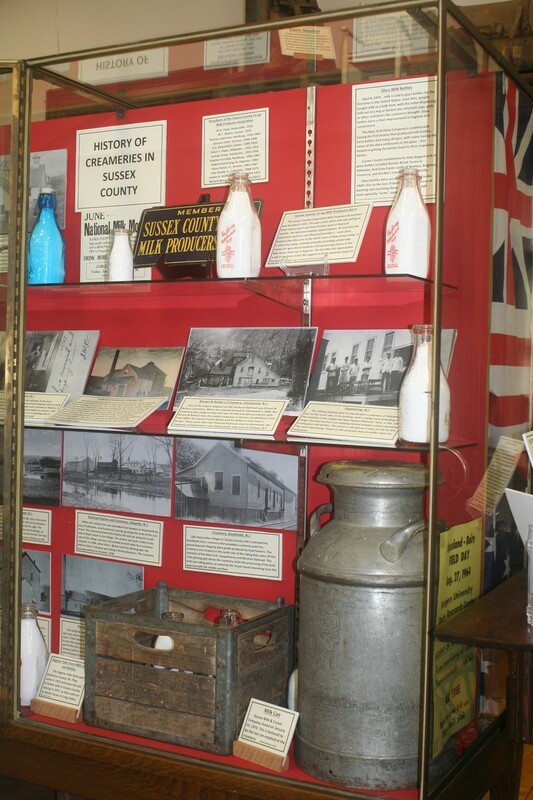 New exhibits include “The History of” Farming, Railroads, and Creameries “of Sussex County”. 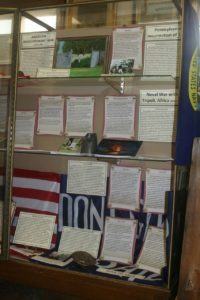 The Civil War display now includes information about 22 Soldiers who rest across the street in the Old Newton Burial Ground. 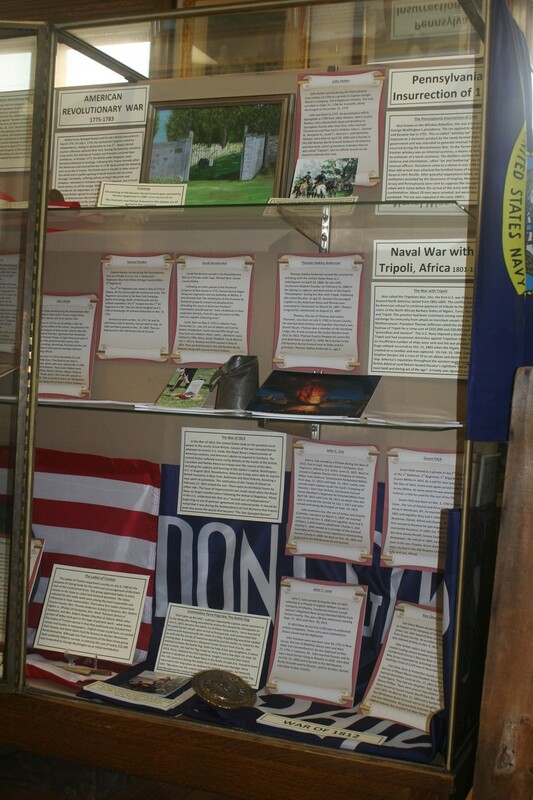 Across from th is visitors will find a display of vetera ns from the Revolutionary War, the Pennsylvania Insurrection of 1794, the Quasi War with France, the War with Tripoli, and the War of 1812 – all buried in the Old Newton Burial Ground. 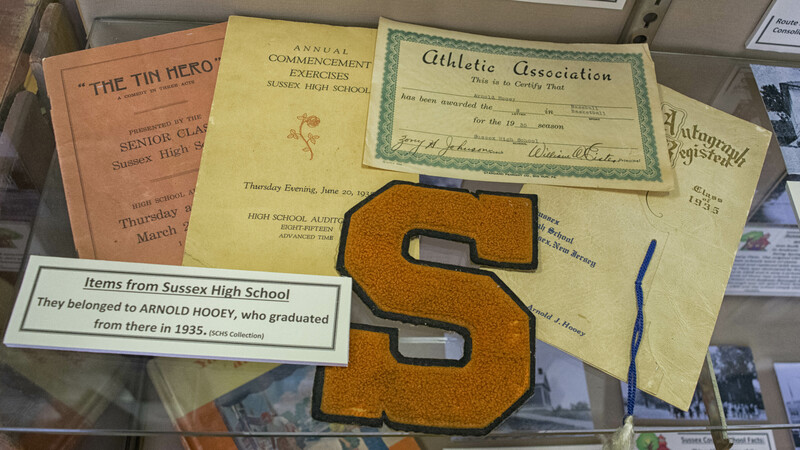 The display about “Early Schools of Sussex County” includes information and pictures of 36 schools from the 24 municipalities of the county…many of these one-room schools. 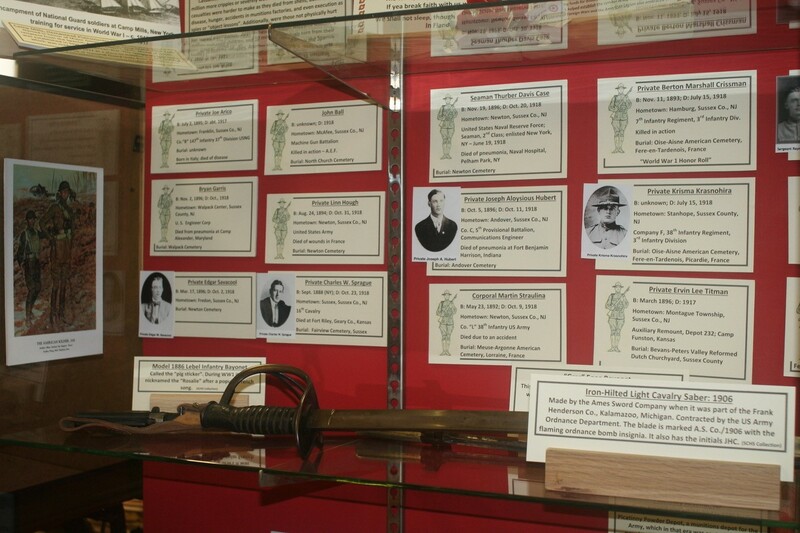 One of the more recent displays is about World War 1 – it features the soldiers from Sussex County who died during this war.